Select the name of the lesson you would like to modify the thumbnail for. 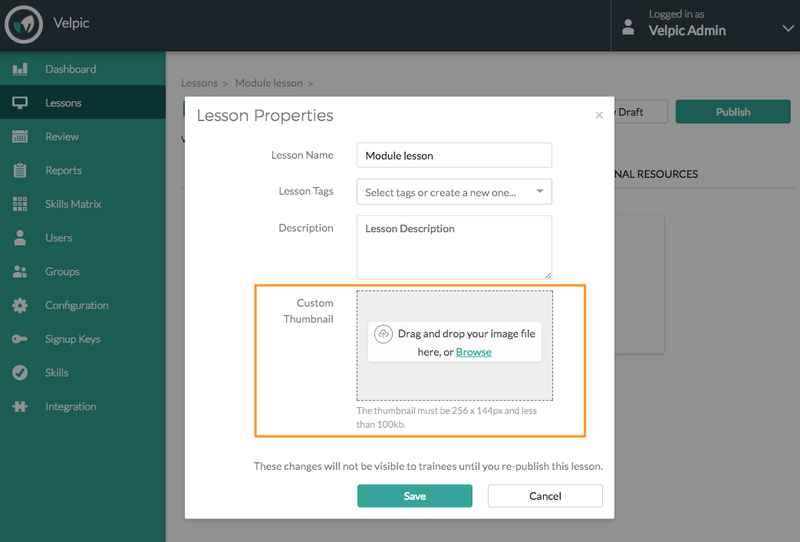 This will display a modal window with the option to edit the your lesson thumbnail. You can now drag and drop your new thumbnail or click browse to select one. Once your thumbnail uploads, select Save. 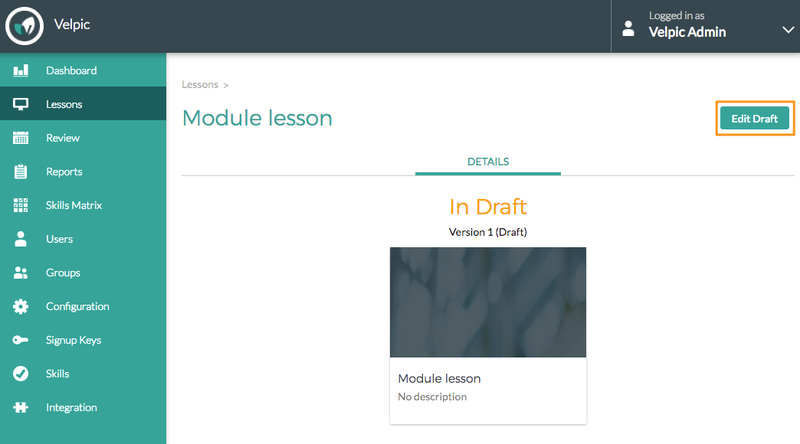 Next, Publish the lesson and you will see your new thumbnail in the lesson list.